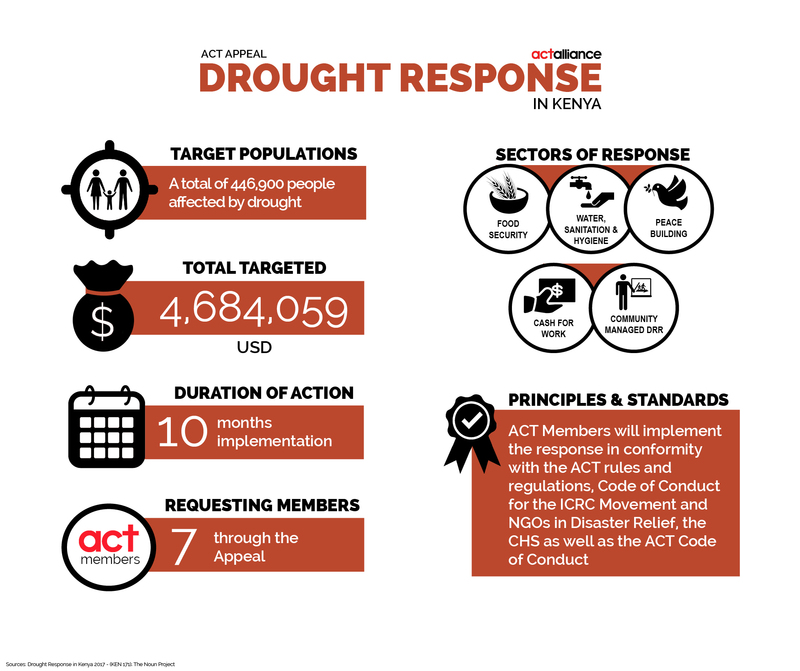 Kenya’s President, Uhuru Kenyatta on 9th February 2017, declared an on-going drought in Kenya a national disaster already affecting 23 out of 47 counties reported to be at alarm stage. 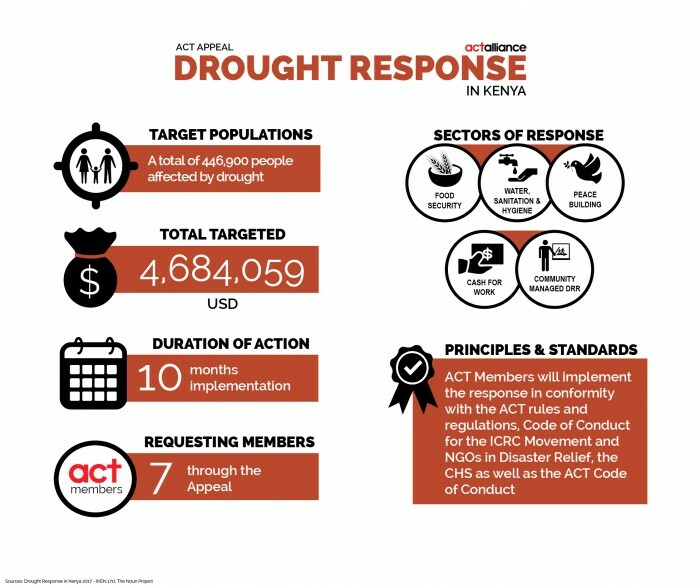 The current drought situation affects an estimated 2.7 million people with children, pregnant women, new mothers and the elderly bearing the brunt of the calamity thus necessitating the urgent plea from government and community leaders to respond to immediate emergency and early recovery needs. Causes of drought are attributed to a late start of short rains between Oct-Nov 2016. These rains were also very brief and inadequate. As a result, there has been a persistent and widespread deficit of water and food for humans and scarce water and vegetation for livestock resulting in livestock mortality rates of 5%. In addition, poor 2016 short rains, affected proper growth of marginal crop producing regions which have predicted crop failure of up to 70 % (compared to a 5-year average)already resulting in an increase in food prices. Most affected populations being pastoral communities residing in Arid and Semi-Arid counties of Northern Kenya. ACT Alliance Kenya forum through its members Christian Aid, Church World Service (CWS), National Council of Churches in Kenya (NCCK), Lutheran World Federation (LWF), Finn Church Aid (FCA), Anglican Development Services (ADS) and Lutheran World Relief (LWR) are responding and intend to scale-up interventions in WASH, Food Security, Early Recovery and Livelihoods restoration and Peace Building and Conflict Transformation through the ACT Appeal.